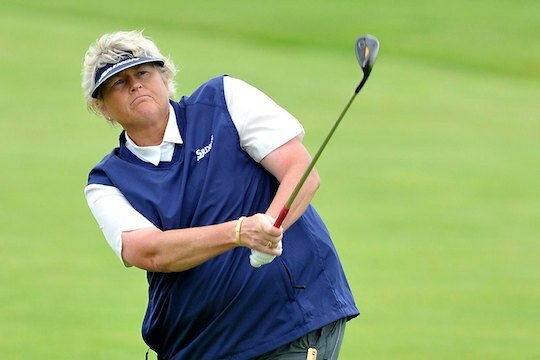 The age of 50 may be nudging closer, but for Laura Davies, the passion to win is as strong now as when she first started out in 1985. Playing in her 26th year on tour, the 48-year-old still believes she can mix it with the best of them, even if a good size of them are maybe half her age. “As far as I am concerned I am in contention every week,” she told The Golfer Monthly in an exclusive interview. “On a Thursday morning I turn up thinking about the numbers, not just making up the numbers. Davies puts her endurance down to never going into a gym and rarely practicing. She is well known for telling people if she can’t see the practice range from the clubhouse then she doesn’t bother. Davies is an engaging character in the golfing world with strong self-belief. She has never had a golf lesson, yet still wows the crowd with her incredible distance off the tee. Her all-round go-out-and-get-them attitude is what has made her such a popular player whenever she visits Australia. And now with the quality of players in the field, an aggressive attitude is what is needed all the time if you want to win, she says. “There is no point protecting because you will not win unless you are going for broke,” she said. “You can have a nice top-10 finish week in-week out if you play conservative golf but if you want to win you have to get in amongst it early because the leaders don’t come back as much as they used to. Perhaps Davies’ own playing approach has rubbed off on the younger generation of golfers. “They come out now and they are fearless,” she said. If Davies had her way there is one big change she would make in women’s golf and that is to make the presentation of the courses more consistent each week. “Some of the guys that used to caddy for me are now on the men’s tour and they say every week conditions are identical unless they get to a Major,” she said. “There is always the same amount of sand in a bunker, the rough is always cut beautifully and manicured. “That would be the biggest thing I would do because it makes me wild. We get into bunkers and some weeks they heap sand in it and everyone’s ball is plugging and it is unacceptable. Even though she may be 48 years old, you never mention the ‘R’ word to Davies. She doesn’t know when, but of one thing she is certain – when she does retire she won’t turn her hand to coaching. Davies always has something to say and to hear her behind the microphone would be interesting indeed.